Soligenix, Inc. recently announced today it has reached a significant milestone in the Phase 3 clinical study (the “DOM-INNATE” study) for SGX942 (dusquetide) in the treatment of oral mucositis in patients with head and neck cancer (HNC). Catalent, Inc. and Paragon Bioservices, Inc. and Catalent Inc. recently announced they have entered into a definitive agreement under which Catalent will acquire Paragon for $1.2 billion. BioAtla , LLC and BeiGene, Ltd. recently announced the two companies have entered into a global co-development and collaboration agreement for the development, manufacturing, and commercialization of BioAtla’s investigational CAB CTLA-4 antibody (BA3071). 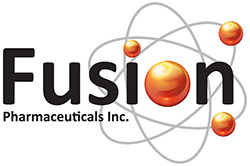 Fusion Pharmaceuticals, a clinical-stage biopharmaceutical company developing targeted alpha-particle radiotherapeutics for treating cancer, recently announced the completion of a $105 million Series B financing led by Varian and new investor OrbiMed. Autolus Therapeutics plc, a clinical-stage biopharmaceutical company developing next generation programmed T cell therapies for the treatment of cancer, recently presented insights into the science behind tumor defense mechanisms and the company’s novel programmed T cell therapy programs in development.